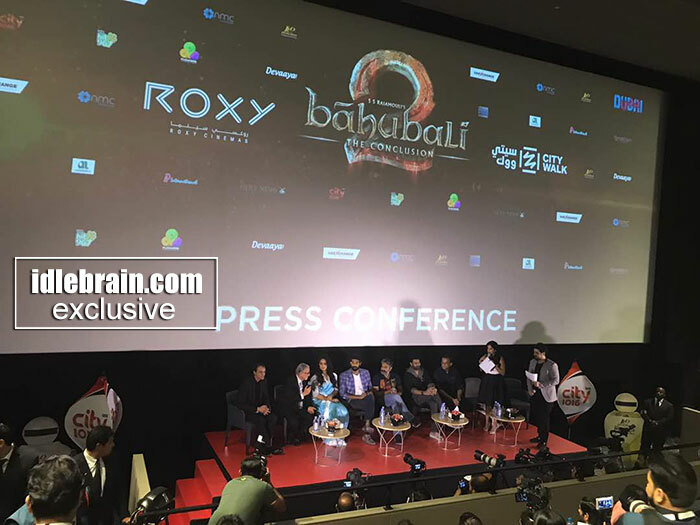 SS Rajamouli, Prabhas, Rana, Anushka and Shobu Yarlagadda have attended the press conference arranged by Phars Films at Roxy Cinemas, City Walk, Dubai on the evening of 25 April. The local media has covered the event extensively. Ahmed Golchin who has established Phars Films in 1964 declared that he has never seen such a craze for any Indian film and Baahubali 2 has already clocked 1,00,000 admissions through advance booking. A highest grossing Hollywood film like Fast and Furious 8 didn't clock such numbers in UAE. Golchin has also said that South Indian film industry is now dominating Bollywood in UAE. Rajamouli is bombarded with the question of why Kattappa killed Baahubali and Rajamouli replied by saying 'Because I asked him to do so'. 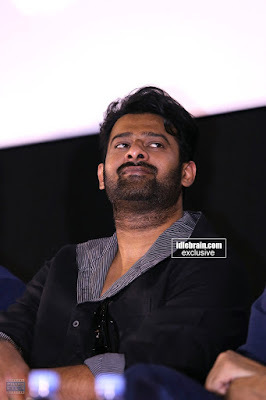 Rajamouli has also said that the part 2 will be last film for Baahubali series. But the world of Baahubali continues for a long time trough TV series, books, animations, virtual reality etc. 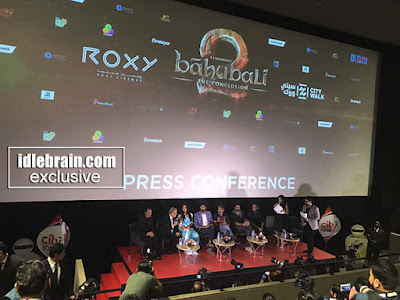 When asked about comparing Baahubali with Ramayana and Mahabharat, SS Rajamouli said humbly that one cannot compare any film with Ramayana and Mahabharat. When somebody asked if Rajamouli would be making more historical, mythological films, he replied saying that he want to do Indian films by erasing the borders caused by languages. When someone asked about the impact of the publicity on film's commercial success, Rajamouli said that only content works. Publicity is of no use if content is bad. Rajamouli said that Sivagami is favourite character for everybody. He has also assured all the women out there by saying there will be much more footage and interaction between Sivagami and Devasena. Rana said that Baahubali has made it's characters and actors immortal. A journalist asked Prabhas that he was 32 when he started the film and now he is 37. 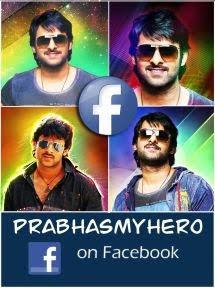 Prabhas humbly replied that all he could give was time for such an epic film.